Book Description The history of sport has seen many great gladiatorial clashes: Ali v Frazier in boxing, McEnroe v Borg in tennis, Prost v Senna in motor racing. None however can quite compare to the intensity of the rivalry between those two great world chess champions: Garry Kasparov and Anatoly Karpov. Between 1984 and 1990 they contested an astonishing five World Championship matches consisting of 144 individual encounters. This volume concentrates on the first two of those matches. The epic 1984/85 contest which was lasted six months before being controversially halted "without result" by the then President of FIDE Florencio Campomanes. The 1985 match when Kasparov brilliantly won the final game to take the title and become - at the age of 22 - the youngest ever world champion. Great chess contests have often had resonances extending beyond the 64 squares. The Fischer v Spassky match was played during the Cold War with both champions being perceived as the finest products of their respective ideologies. The Karpov v Korchnoi battles (three matches between 1974 and 1981) were lent an edge with Karpov being a Russian hero of the pre-Glasnost era while Korchnoi was the disaffected dissident. The Kasparov v Karpov encounters mirrored a battle between the new Russia and old Russia with Kasparov seen as a symbol of the new ideology emerging under Gorbachev whereas Karpov was seen to represent the old regime of die-hard Communists such as Brezhnev. 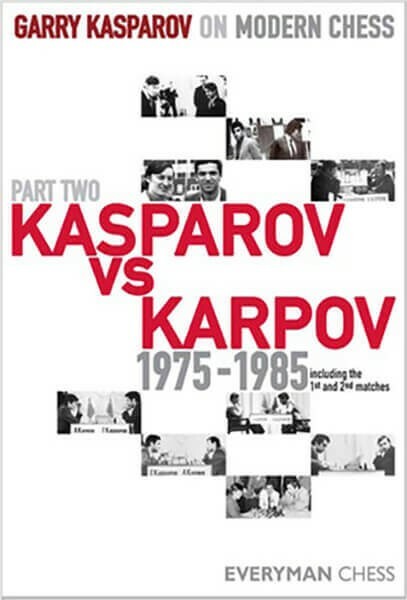 In this volume Garry Kasparov (world champion between 1985 and 2000 and regarded by many as the greatest player ever) analyses in depth the clashes from 1984 and 1985, giving his opinions both on the political machinations surrounding the matches as well as the games themselves.